3rd game between my 9 year old cousin and I. I’m a bit rusty and haven’t played in this place in awhile. This church has a lot of corners, which means if your playing against more people, or a more skilled person, you gotta watch them. But if not, then you can be a bit more lax, especially since your playing against your 9 year old cousin. Also, I believe I get my camp on in this game. 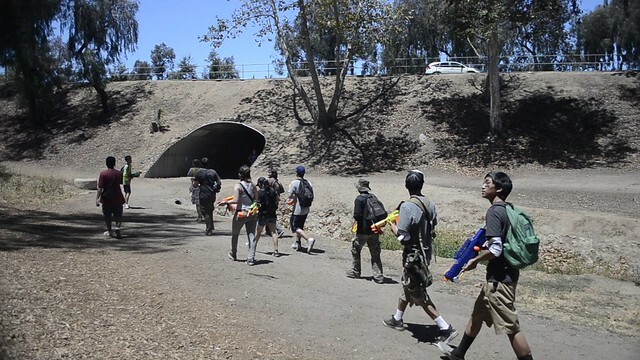 In my two day long games at Camarillo (Day 3 Summer 2011, Summer 2012) I’ve had fun, made friends, and learned a bit more about Humans vs. Zombies. I’m here to import some of this knowledge to the newer players out there. It’s been about 5 weeks since the Summer 2012 game (July 20) so heres 5 Basic tips, or points of emphasis, that should help you stay alive as a human for as long as possible. 1. Nutrition/Energy are essential for good performance. A decent breakfast, but it still wasn’t enough. The above photo is what I ate for breakfast of the Summer 2012 game, and it still wasn’t enough. My usual peanut butter and banana sandwich plus an egg on the side filled me up, but by lunchtime it was gone. The mods ran us around the park while removing our safe zone. I felt very drained and on the hungry side. Always make sure your appropriately fueled for games and missions. Not only will you feel better, but you’ll be more aware, alert, and quicker to respond. I really don’t need to go into the benefits of proper nutrients during exercise and sporting event, since it’s a pretty common thing. I admit, I load my clips the “wrong way” almost all the time. The video isn’t anything super special or amazing, but it was kind of a wakeup call to me. I could never really do this, and it seems like your gonna need some serious slight of hand to pull it off. Another solid read off the HvZ forums. Original topic is here. After reading some of the other Tenets I thought I would do one on the Rayven. This is my first write up of this style so remember I am a bit of a n00b at this, but I can take criticism too. So you finally got a Rayven have you? Good, the Rayven can be a great addition to your arsenal but there are some things to remember when using the Rayven. 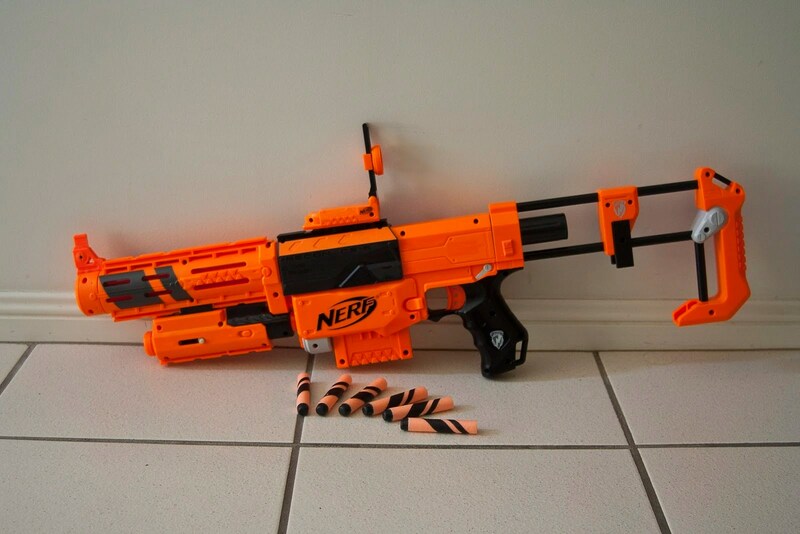 JPRoth1980 of the HvZ forums has written up some tips for Recon usage in HvZ. I thought it was a solid read. You can read them in this post, or go here to check out the original post. Howdy folks. I’m just an old guy with very little applicable knowledge to HvZ (although if there was somewhere nearby that ran games and allowed those of us out of the college scene to play, me and the missus would definitely be game) and a minor amount of knowledge as to Nerf modding and the strengths/weaknesses of guns. That said, I’ve noticed through way too much lurking that there wasn’t a guide written for the Recon (or if there was, my search-fu is old, like me). Therefore, I figured I’d do my best to help out here. No pics because I’m not the most tech-savvy person in the world. If you’re on a site for HvZ and you don’t know what a Recon looks like, then you are a rare, rare person. The Recon is a jack of all trades. Stock, it can shoot decently far (further than many comparable N-Strike blasters, in my experience), has decent accuracy, and has a decent rate of fire. If Nerf blasters were a Nintendo-made video game, the Recon would be Mario. As such, it’s often overlooked by players who prefer something with a little more specialization. 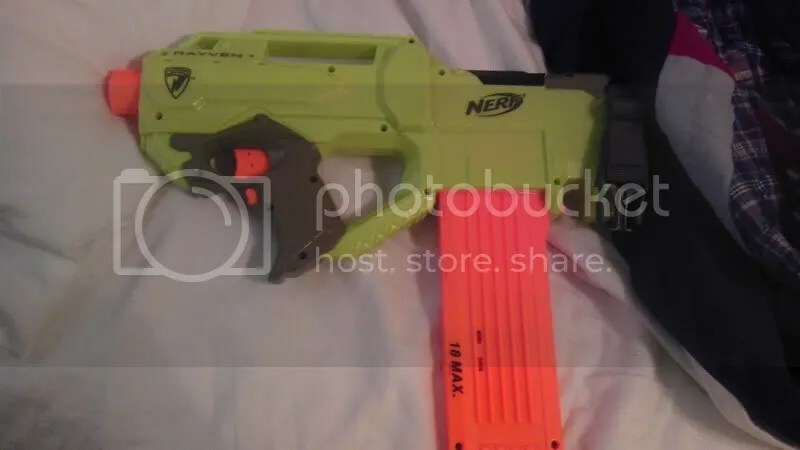 Like the other N-Strike clip blasters, it can only shoot the much-hated Streamline darts unless you modify it to accept Stefans or similar (assuming that your campus/organization allows modified darts). Not exactly a glowing review, is it? Recons, being general-purpose blasters, have a lot of things going for them. Here’s a list! Hit the jump for the rest of the tips.